1989 to 2010 - Executive Director of the Australian Self-Medication Industry Inc.
ASMI is the peak industry body representing the vast majority of manufacturers of non-prescription medicines. The ASMI Secretariat is acknowledged by both state and federal governments as the consultation point with industry; and by its members as the focal point through which individual needs can be channelled and thus achieve greater weight in a total industry context. The primary purpose of her role was to foster community, professional and government acceptance and understanding of the role of consumer healthcare products in community health throughout Australia, through a proactive development of industry profile. Juliet fostered and gained acceptance of the importance of responsible self-medication as part of self-care with key stakeholder groups, through influencing health policy, legislation and regulation. This included maximising opportunities for increasingly self-regulatory and co-regulatory approaches in lieu of prescriptive and costly government regulation; clearly differentiating consumer healthcare product from prescription issues, developing recognition of the distinctions and consequent need for varying approaches, initiatives, regulatory requirements and controls. She also worked with various groups across healthcare sectors as a key contributor in new, innovative processes in Australia i.e. model and standards for medicine information provision to consumers, best practice models for communication interventions between industry and professionals. 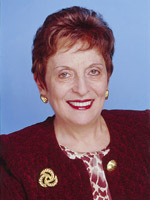 1985 to 1989 - Deputy National Director and Acting National Director of the Australian Retailers' Association. Australian Retailers' Association is the peak body representing all retailers, through direct membership of major retail organisations and membership of State Retail Traders' Associations (also representing small and medium businesses). RITC is the first in a national network of such councils; she subsequently assisted in the establishing of the National Retail ITC and other state councils. 1970-1983 - Training & Development roles for Woolworths Limited. She also had secondary teaching experience prior to that, teaching French, German and English to foreign students.